One of the many benefits of solar panels is their durability. Systems typically come with 20-year warranties, and panels can last upward of 40 years. While solar panels don’t require extensive care, proper maintenance and occasional cleaning can help extend their lifespan and efficiency. The more direct sunlight solar panels can absorb, the more energy they create. Dirt, debris, snow, and even bird droppings can build up on your panels and block sunlight. 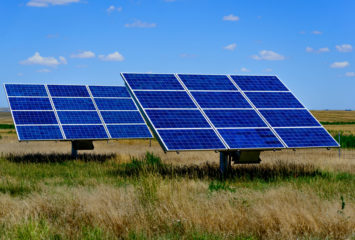 The National Renewable Energy laboratory reported that dirty solar panels lose up to 25 percent efficiency. Keeping your panels clean helps ensure good power production. How Often Do I Need to Clean My Solar Panels? There’s no standard time frame for cleaning your solar panels, as it largely depends on your geographic location. 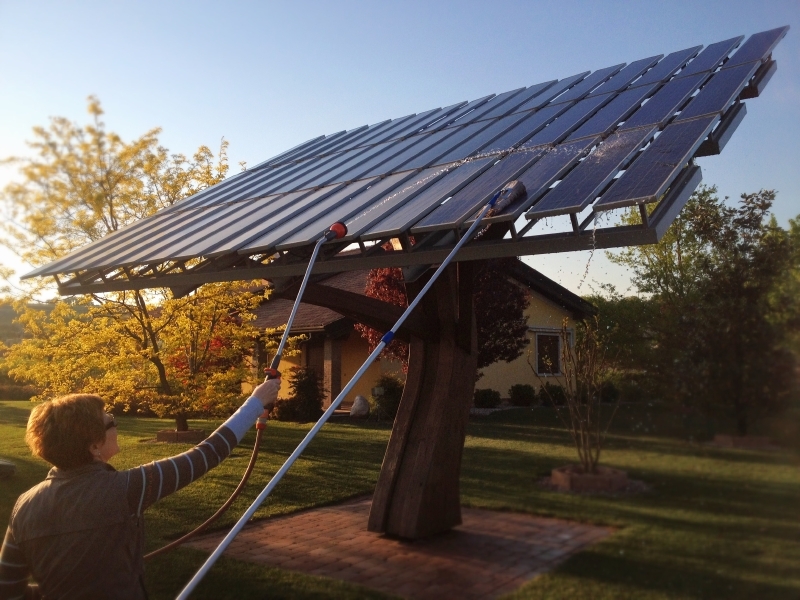 The average solar panel owner will need to clean their panels only once or twice a year. Set a reminder on your calendar to check your solar panels seasonally to evaluate the debris and see if it’s time for a cleaning. There are a few exceptions to this general maintenance guideline. If you live near a freeway or airport, oil and pollutants can build up on your panels, meaning they will require more frequent cleaning. In a cold-weathered climate, you’ll want to keep your panels clear of snow during winter, and in desert climates, you may need to clean your panels after storms or strong winds to remove dirt, dust, and sand. You have a couple options for cleaning your panels: you can hire a professional, or you can do it yourself. If you want a professional to handle the cleaning, first contact your solar panel company to see if they offer cleaning services. Even if they don’t, they may be able to recommend a cleaning service familiar with your panel type. You can search for a reputable cleaning company using Yelp! or Angie’s List. 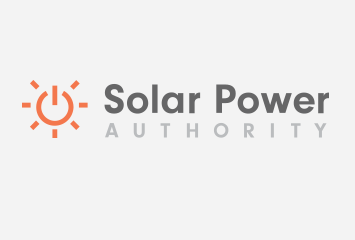 Contact your solar panel manufacturer or consult your manual for any specific recommendations or warnings prior to the cleaning. Some systems may require you to power down before cleaning as a safety precaution. Put safety first. Watch your footing and avoid stepping on any cords or panels. If your array is on your roof, use safety restraints. Wait for an overcast morning or evening to clean your panels. If the sun is high, water will quickly evaporate and leave marks. Clean water, a towel or sponge, and a good scrubbing will remove most dirt buildup. Use small circular strokes to loosen the dirt and hose it off with water. For stubborn stains, you can use a gentle cleanser, like dish soap. You may want to use a natural brand that won’t harm grass or shrubs when it runs off the array. Never use harsh cleaning supplies, abrasive scrubbers, or pressure washers, as they can damage your panels. If your water is hard, use soft water as a final rinse, and squeegee the panels dry to avoid calcium deposits. Your solar energy system is an investment that you want to keep in good condition. Solar panels require little maintenance, but a regular cleaning can help ensure your system is working at its maximum potential.